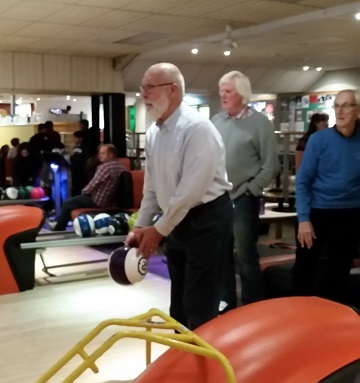 The Rotary Clubs of Bailgate and Lincoln each provided a ten person team to do battle at Lincoln Ten Pin Bowling. The result went in favour of Bailgate by 920 to 900. However, Lincoln could take satisfaction in having the highest individual score with Malcolm Miller obtaining 121. Roger Papworth (Bailgate) had provided a trophy for the winning team, so he duly presented it to himself. However, he then passed it to Martin Dickie (Bailgate), who is to be congratulated for organising this fun event, with the instruction to keep the trophy well polished until the return match next year. 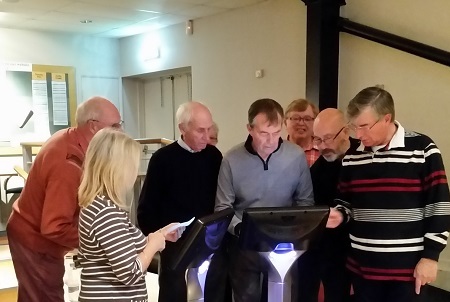 Fellowship is the mainstay of the spirit of Rotary but it might not be the best way to set up the electronic scoring system. 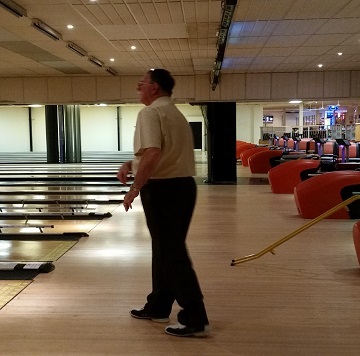 President Malcolm (Lincoln) having just unleashed another storming shot that may or may not have troubled the pins. Alfred (Lincoln) with all the poise of a professional about to send down another storming shot. 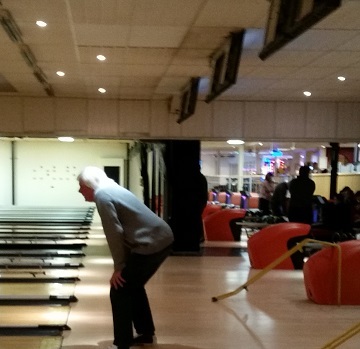 Top scorer Malcolm (Lincoln) with 121, adopts the Jonny Wilkinson pose to better watch the line of his shot. 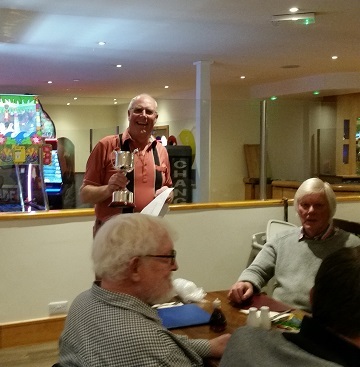 Roger (Bailgate) presenting the trophy to himself to celebrate Bailgate´s success. 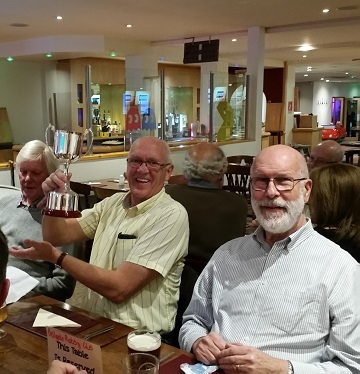 Martin (Bailgate) has the pleasure of polishing the trophy for the next year as a reward for all his efforts in making this year´s event a success.